St Odilo of Cluny is famous for his reform of the Benedictine monastic tradition and the originator of the celebration of All Souls' Day. The image shows St Odilo of Cluny who is famous for his reform of the Benedictine monastic tradition beginning in the monastery of Cluny. 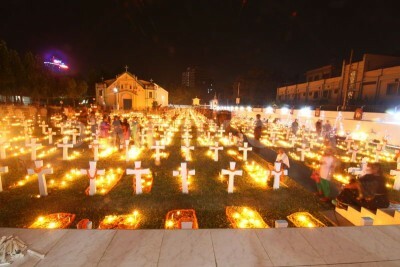 He is also the originator of the celebration of All Souls’ Day. 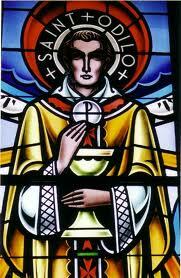 Patrick Duffy reviews the life of St Odilo. 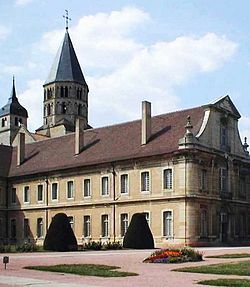 Cluny was founded in 909 as a community of Benedictine monks subject to the Pope by William I of Aquitaine, who made over his hunting reserve to the monastery. Its first abbots were Berno and Odo. 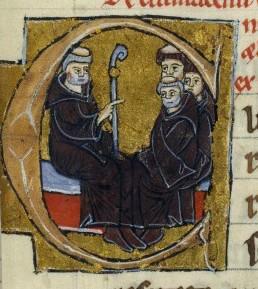 Odilo was the fifth abbot of Cluny. He came from an aristocratic family, joined the monastery as a young man and became abbot in 994. 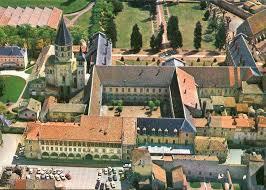 It was during his abbacy of fifty-five years that Cluny became the most important monastery in western Europe. Under him the abbey became independent and its monks were able to devote their time to the celebration of the liturgy and the divine office as their main work. Odilo was a first-class organiser, but he was also gentle and kind, especially to the needy. During his time many new houses were founded from Cluny, not only in France, but also in Italy and Spain. All were priories under the control of the abbot of Cluny and through his own strength of character Odilo was able to promote the true spirit of monasticism. Due the political influence Odilo acquired he was able to promote the Peace and Truce of God (Treuga Dei) by which military opponents ceased hostilities from Fridays to Mondays as well as during Lent and Advent. Although there was much opposition, this did hold in many French provinces. During the famine of 1028-33, Odilo sold or melted down much of the precious church plate so the poor could have food to eat. One liturgical initiative Odilo made still remains in the Church. He set aside 2nd November to be observed in his monasteries as a day of prayer for all deceased monks. In 1915, Pope Benedict XV allowed the practice of celebrating three Masses on this day. Pope Benedict was concerned about two things: first, that people had requested Masses for the dead which had not been celebrated because of neglect or circumstances; and, second, the great slaughter of the young men of Europe which was then taking place in World War I.
Cluny became one of the biggest churches in Christendom, had a huge library and played an important in developing Gregorian chant. Odilo travelled widely, spreading the Cluniac reform. He made several visits to Rome and visited Monte Cassino. He made considerable extensions to the buildings at Cluny and although Cluny is no longer a monastery, the nearby Taizé community plays a similar cultural role with young people through its prayer life, music and liturgy. Odilo died on 1 January 1049 at Souvigny while on visitation of the monasteries under his control. He was aged eighty-seven and had been abbot for fifty-five years.